East Eats West: Go Furie! 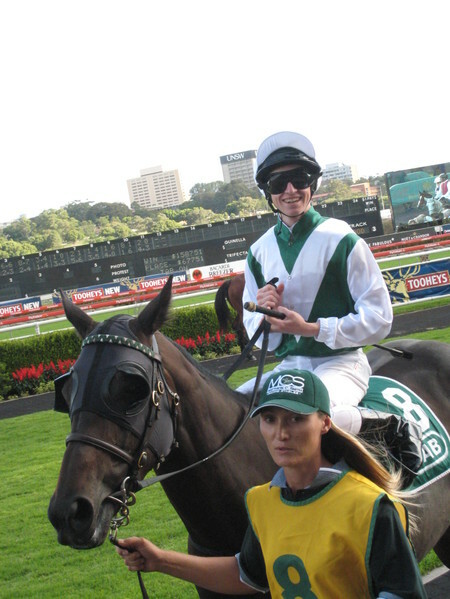 Picture: A happy jockey at the annual 1st of January Royal Randwick Horse-Race. In Australia British culture is still very visible starting with the strong love for beer, the fondness for picnics to the addiction to horse-racing. 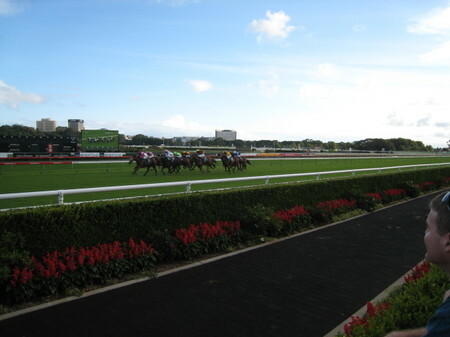 One of the legendary horse-race tracks is the Royal Randwick track in Sydney. I attended the traditional 1st of January track-day and got a good idea of what horse-racing is about: betting, drinking, girls dressing up and more drinking (and the odd scuffle and fight). Even though the 1’000m races where rather short we enjoyed being among cheering and screaming Aussies and the lovely dresses of the ladies. The oddest being the arrest of a disgruntled and riotous gambler and the incredible vertically-challenged jockeys. Picture: A quick dash and fortuntes are made or lost.